Barcelona Football Club is set to face another injury crisis-laden month, following a similar last month. 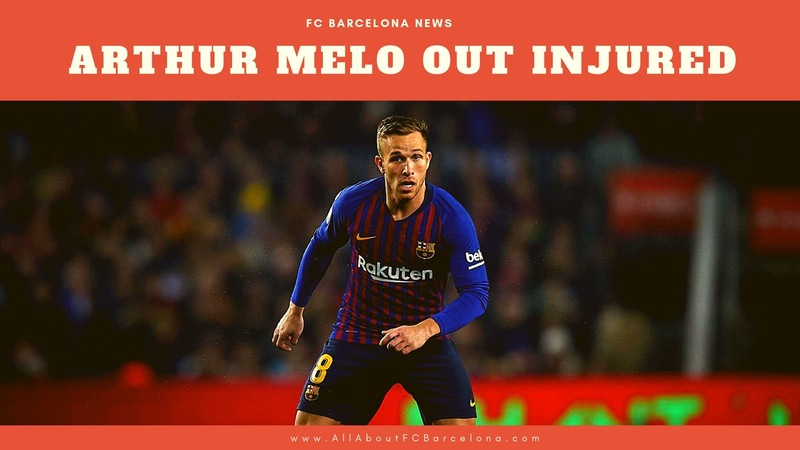 Barcelona's emerging midfield maestro, Brazilian Arthur Melo has been sidelined with a hamstring injury. The Brazilian is expected to miss action for three to four weeks now. That may further complicate Barcelona's already complicated Clasico plans. With this injury, Barcelona's February plans are out for a toss. He will miss the matches against Athletic Bilbao, Real Valladolid, Lyon, Sevilla and mostly the two Clasicos against Real Madrid. This makes life trickier for Barcelona's coach, Valverde. He now needs to find the ideal midfield combination for three extremely important matches of this season - away match against Lyon in Champions League, away match against Sevilla in the league, the return leg at Bernabeu of the Copa Semi-Final.